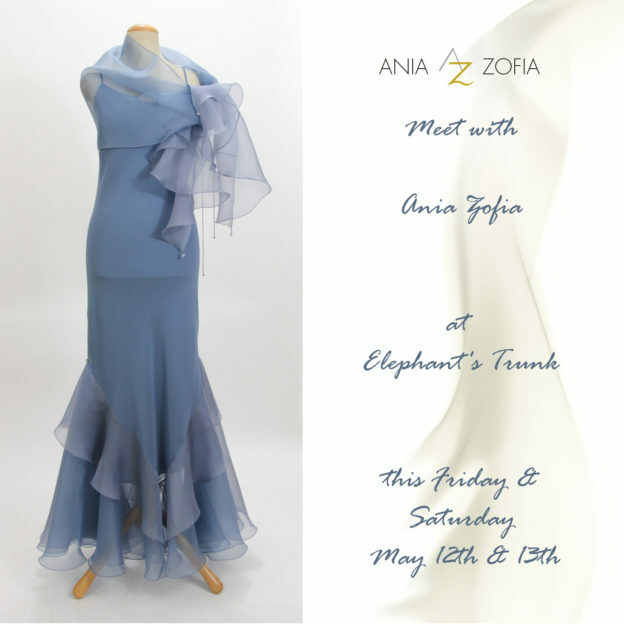 This entry was posted in Events, News, Trunk Show and tagged aniazofia, blouse, designer, elephant's trunk, events, fashion, meeting, motherofthebride, new design, new styles, news, silkdress, silkgowns, specialocassion, specialorder, tops, trunk show, tunic on 05/10/2017 by admin. Welcome to NEWS & EVENTS section of the Ania Zofia Fashion website. If you want to go back to the main content, click HERE. Trunk Show at Elephant’s Trunk – 4 days!